Bill Cosby was sentenced Tuesday to 3 to 10 years in prison. Bill Cosby was sentenced Tuesday to three to 10 years in state prison by a Pennsylvania judge who had designated the comedian a "sexually violent predator." He ordered that Cosby be taken into custody immediately. Cosby, who had removed his pinstriped suit jacket, was escorted out of the courtroom by guards with his hands cuffed in front of him. He held his cane in his right hand. "It's been a long journey to get here and today justice was served. 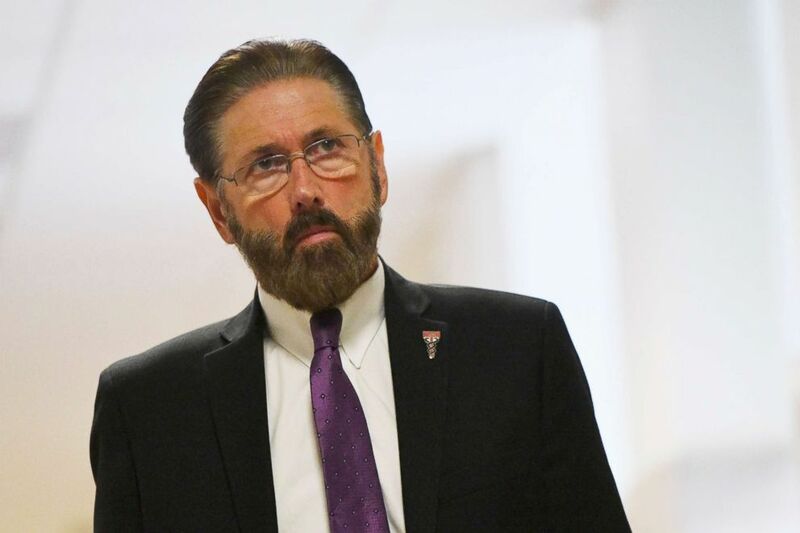 It has been a long time coming, but it arrived when a convicted felon named William H. Cosby Jr. left the courtroom in handcuffs headed off to state prison for his crimes," Montgomery County District Attorney Kevin Steele said with Constand standing at his side at a press conference following the sentencing. Judge O'Neill rejected a request from defense attorneys to allow Cosby to be released on bail pending appeals. 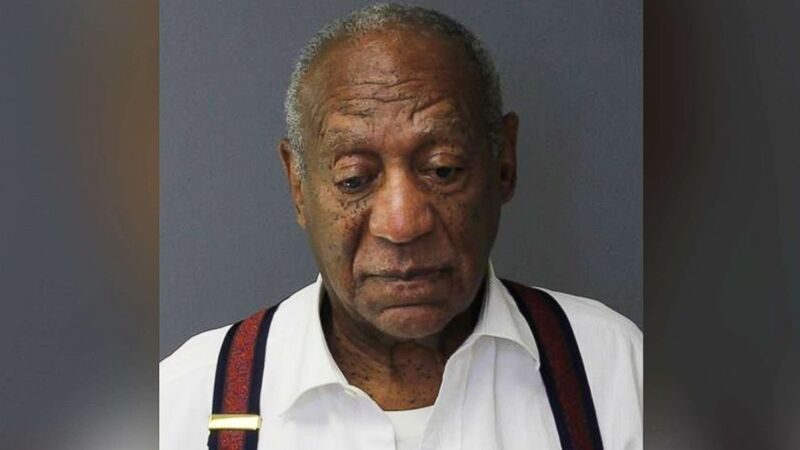 (Montgomery County Correctional Facility) Bill Cosby is pictured in a booking photo released by the Montgomery County Correctional Facility on Sept. 25, 2018. O'Neill called Cosby's crime a "planned predation." In a written statement to O'Neill, which was released Tuesday, Constand wrote, "Bill Cosby took my beautiful, healthy young spirit and crushed it. He robbed me of my health and vitality, my open nature, and my trust in myself and others." 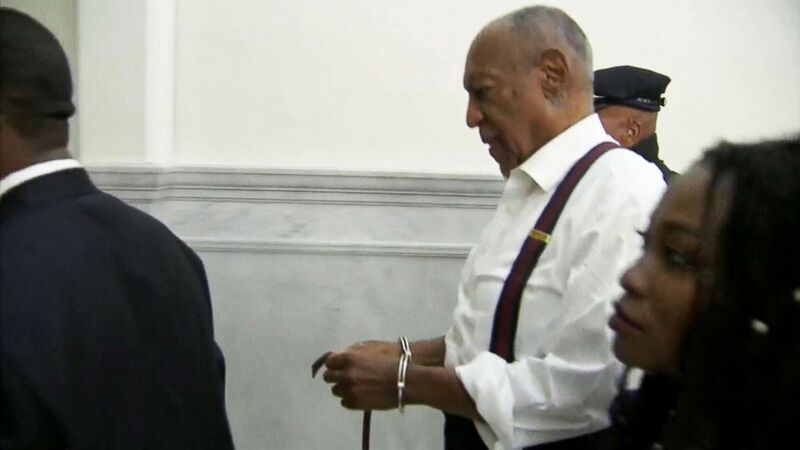 (WTXF) Bill Cosby is escorted in handcuffs at the Montgomery County Courthouse, Sept. 25, 2018, in Norristown, Pa.
"This has been a long journey for justice for all of the accusers, particularly for Andrea Constand and her family," said attorney Gloria Allred, who represents 33 women who have accused Cosby of sexual abuse. "This is an important day. Judgment day has come." Chelan Lasha, who says Cosby drugged and sexually assaulted her in 1986 in a Las Vegas hotel room when she was 17, said she had hoped for a harsher sentence for Cosby. 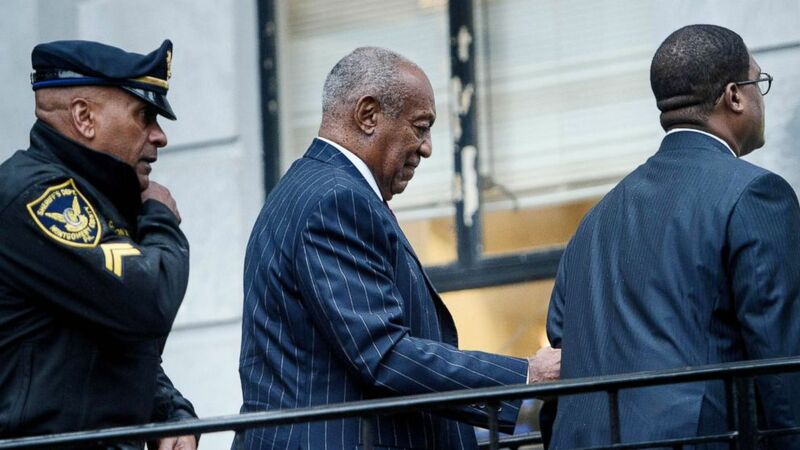 (Brendan Smialowski/AFP/Getty Images) Bill Cosby arrives for a second day of a sentencing hearing at the Montgomery County Courthouse, Sept. 25, 2018, in Norristown, Pa.
"But I'm very happy to know that Mr. Cosby will do time in prison, that he's touchable like he touched us," Lasha said after the sentencing hearing. Earlier Tuesday, Judge O'Neill designated Cosby a "sexually violent predator." Cosby appeared alert, cooperative and engaged as he answered a series of questions from prosecutor M. Stuart Ryan designed to determine whether he fully comprehended the implications and consequences of the "sexually violent predator" designation. (Matt Slocum/AP) Bill Cosby arrives for his sentencing hearing at the Montgomery County Courthouse, Sept. 25, 2018, in Norristown, Pa.
(Mark Makela/Getty Images) Judge Steven T. O'Neill of the Montgomery County Court of Common Pleas walks towards the courtroom on the second day of sentencing in Cosby's sexual assault trial, Sept. 25, 2018 in Norristown, Pa.
Steele asked O'Neill to incarcerate Cosby with a maximum sentence of 10 years. 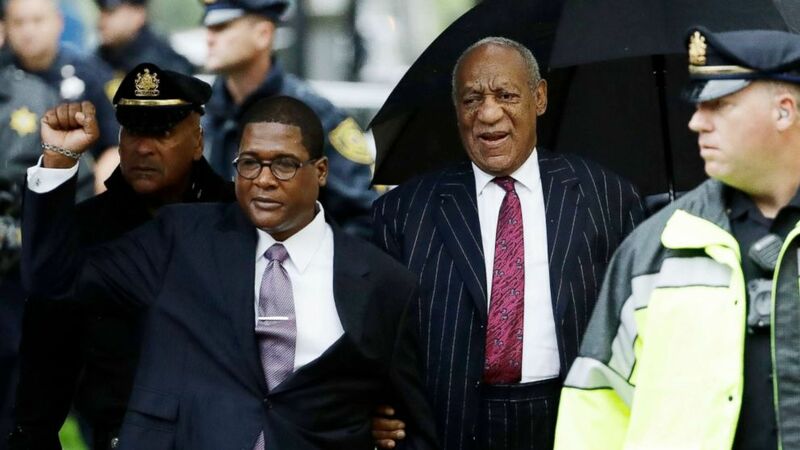 After Cosby's was taken to a Montgomery County jail for processing before he is transferred to state prison, his spokesman Andrew Wyatt blasted the trial and conviction as "the most racist and sexist trial in the history of the United States." 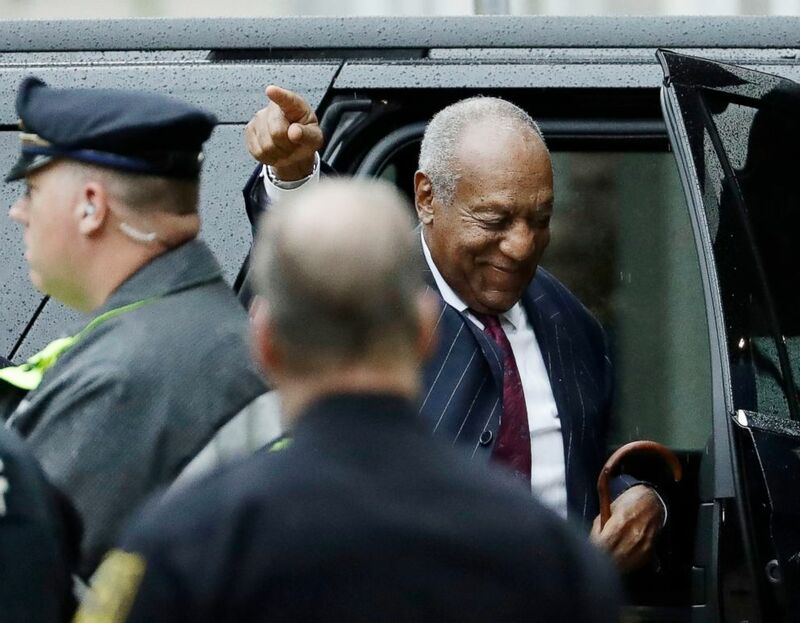 (Matt Slocum/AP) Bill Cosby gestures as he arrives for his sentencing hearing at the Montgomery County Courthouse, Sept. 25, 2018, in Norristown, Pa. He said Cosby "is doing great" and "knows that God is watching over him." "They persecuted Jesus and look what happened," Wyatt said. "I'm not saying Mr. Cosby is Jesus, but we know what this country has done to black men for centuries." 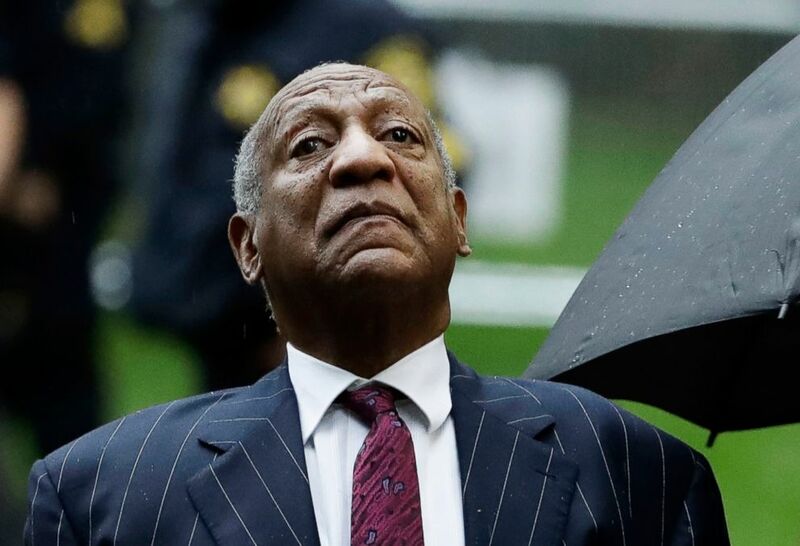 Cosby's wife of 54 years, Camille Cosby, did not attend Tuesday's hearing, but released a statement, saying, "We have now learned that Bill Cosby was denied his right to a fair trial..."